Find love and style before the big V-Day with us and Pamela Hope Designs at our Washington Ave showroom on. Learn the ins and outs of how to attract and keep love through good design. We’ll be serving up cocktails, hors d’oeuvres, and, of course, good design. 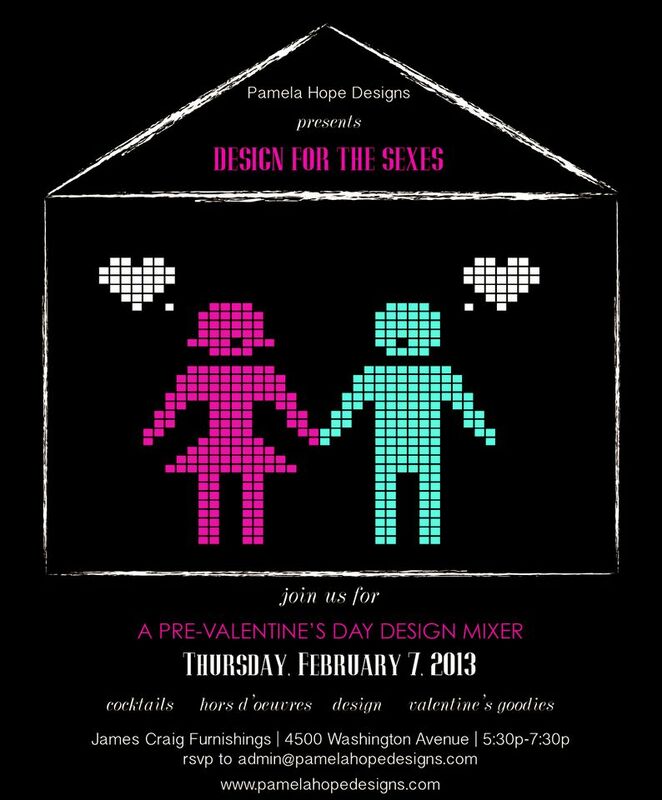 Whether your single and ready to mingle or hitched … singles, couples and design lovers welcome! Houston sometimes gets a bad rap for not restoring and celebrating its history. That’s why we are so excited to be pitching in for the Villa de Luxe Designer Showcase sponsored by Luxe Interiors + Design™ magazine the first three weekends of February – that’s this weekend! Pssssst … we have a secret. You, no doubt, know about the amazing hand-crafted, personalized furniture from the world’s best craftsmen we carry to deck your halls, but did you know we also carry one of the best kept secrets in bedding? Bamboo bedding by Home Source! And it feels like silk. The back story: Bamboo fiber is the latest textile cotton alternative. The fiber is made by taking bamboo stalks and grinding it to a wood pulp. The pulp is then converted to a thick liquid called “slurry,” and pushed through tiny holes to make continuous strands of fiber. The weaving of bamboo yarn took considerable time to learn to do correctly. Bamboo, like all wood fiber, will shrink twice as much as cotton fibers if not properly processed. Home Source is the first company to make 100% bamboo sheets and they spent almost two years developing them. The 250 thread count to allows enough warmth without getting too hot. While it’s true that higher count cotton sheets require better quality cotton fiber [longer and finer], but the higher the count, the hotter the sheet. Over 400 thread counts can feel like wrapping yourself in plastic. There is no such thing as organic bamboo but it does not require chemicals to grow. Bamboo naturally inhibits the growth of bacteria. They are roughly 25 times more effective at killing bacteria than fabrics treated with chemicals to kill bacteria. Bamboo is more absorbent than cotton due to its high cellulose content. James Craig Furnishings is a unique lifestyle design center with fashion-forward, upscale home furnishings in Houston where you get to design what YOU want! Our showroom is located in the exciting Washington Ave corridor of inner Houston and is absolutely gorgeous! Stop by 4500 Washington Ave and start designing your life. The R&D office stands bare. The shipping company just pulled away, hauling off this year’s one-off prototypes to new homes. As the 2012 design period comes to an end, the new products are added to the catalog and website. Help us welcome in 2013 by celebrating our latest and greatest pieces. 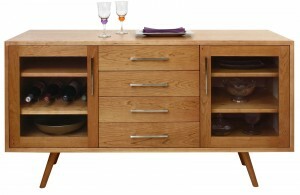 Brand new to Lyndon this year is the Newfane Collection. 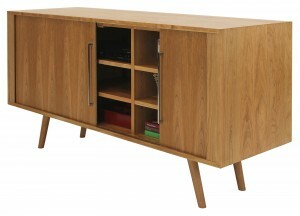 If you’ve been following this blog you’ll know that we began this style as a tribute to how mid-century modern design shaped today’s contemporary furniture. Click here to read more. The Newfane stands upon splayed, round taper legs, which connect seamlessly but yield great strength and stability. We always look forward to new designs from our friends. This year we are particularly excited about what’s next. Who is on your watch list for new designs?